This morning as we were finishing a walk around Furman Park, we came upon a group of students who were working on the planters along the entrance of the park. 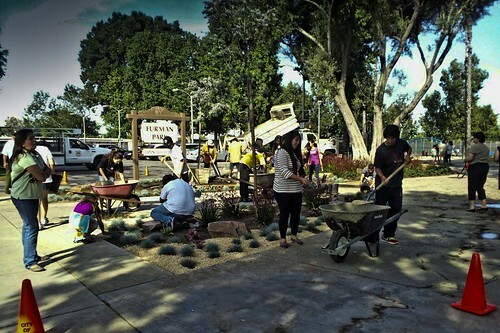 They were volunteers to help "Keep Downey Beautiful." For me, it was one of those moments when I realized that I had looked at the previous planters and thought they were ugly and dated, but did nothing to change it. 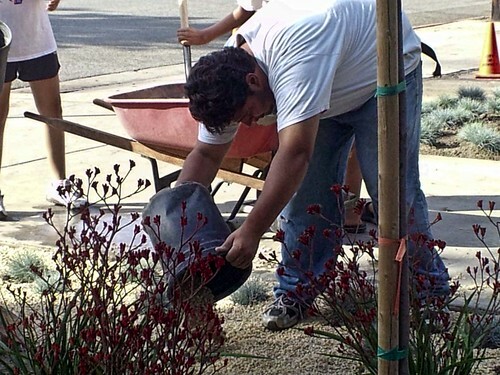 Well, thanks to this group of volunteers, a local Downey resident, and a grant from Lowes, we have a welcome change and some beautiful, drought-tolerant plants. THANKS for working to make our city beautiful!